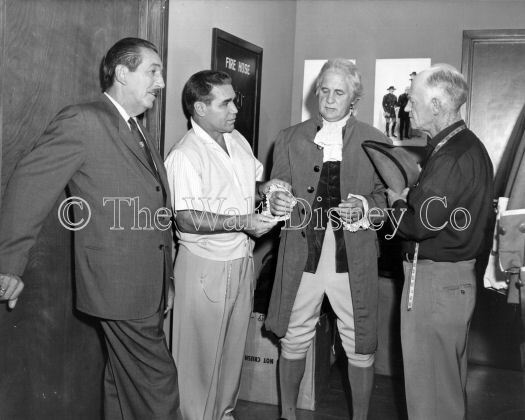 Chuck Keehne had worked as a costumer in motion pictures for fifteen years before joining the Disney Studio in 1955 for the Mickey Mouse Club. It was Chuck who had the task of creating the famous mouse ears. He continued with the studio until his retirement in 1979. Chuck Keehne was born August 1, 1914, in St. Louis, Missouri, the middle child of four boys and one girl belonging to William and Mae Keehne. Chuck's father was a telegrapher for the railroad, who around 1924 moved the family to southwest Missouri. After graduating from high school, Chuck moved to California, where he first found work building movie sets. Later he worked at Western Costume Company in Hollywood, where he spent his free time learning about historical dress and costuming. 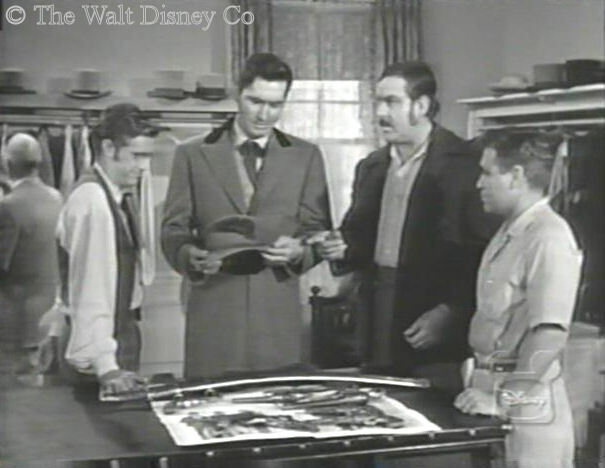 From Western Costume, Chuck moved on to become a freelance costumer for various film projects in the early 1940's. Among the pictures he worked on were The Fighting 69th (1940), Knute Rockne, All American (1940), and Yankee Doodle Dandy (1942). Chuck enlisted in the Army Air Corps during WWII, and served with a combat camera unit in the South Pacific. All three of his brothers also served with the military during the war. After the war, Chuck was stationed in Japan until his discharge, when he returned to California. 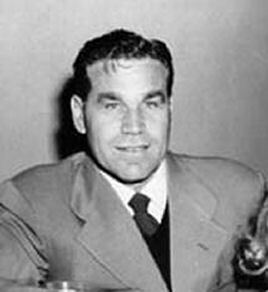 He resumed working on films in 1946, and the following year married his childhood sweetheart, Marcelle Birkenbach, with whom he had two daughters. 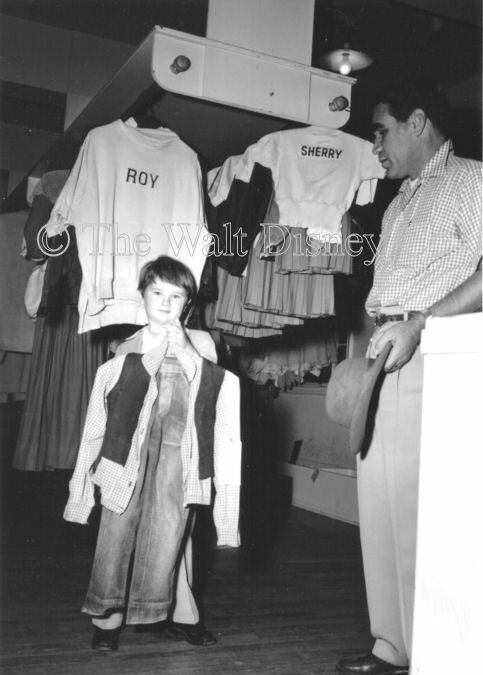 From 1947 to 1955, when he became head of the Wardrobe Department at Disney, Chuck worked on two television series and fifteen films, including Captain From Castile (1947), Fort Apache (1948), and A Bullet For Joey (1955). 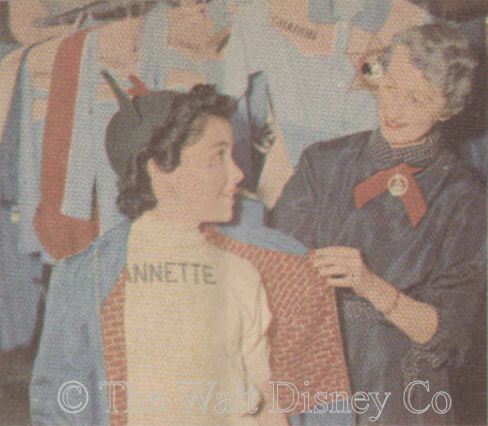 Up to 1954 the Disney Studio hadn't needed a wardrobe department. But as the studio moved into television and live-action features, Bill Anderson, the studio production manager, was given the task of hiring a full-time costumer. In April 1955, Bill interviewed Chuck, and explained the studio's concept for television. At some point Chuck asked, "Where's your wardrobe department?" Bill told him, "You'll have to build it". Chuck set up the department in the Shorts Building on the Burbank studio, at the intersection of Minnie Avenue and Dopey Drive, where it would remain until the year 2000. (It is now located on what used to be the old back lot). His principal subordinates were Ted Tooey and Gertie Casey, in charge of men's and women's wardrobes respectively. He had worked with both of them on films at other studios, and brought them along when he was hired by Disney. 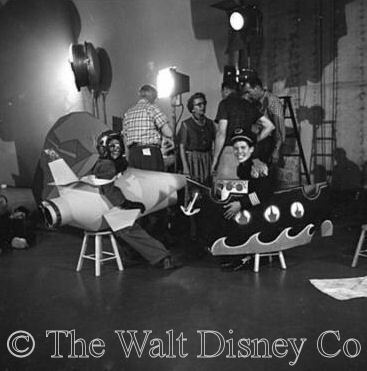 One of his first and most challenging assignments was to create costumes for the Mickey Mouse Club, due to start filming within a few weeks of his hiring. 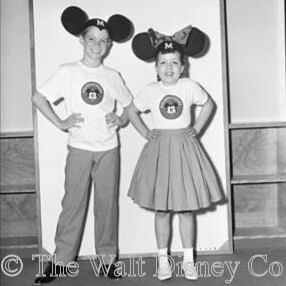 Unlike costumes for historical productions, such as Davy Crockett, there were no precedents for what a Mouseketeer should wear. Though the costumes have since become an American icon, they were by no means obvious when Chuck first started to create them. For instance, Roy Williams idea that the kids should have mouse ear caps was something everyone agreed on, but the development of a practical and sightly example took considerable time and effort. According to Chuck's daughter, Bill Walsh, Hal Adelquist, Roy Williams, and Chuck worked together on this. The early versions were too large and looked ungainly, nor would they stay on when the kids danced or moved quickly. 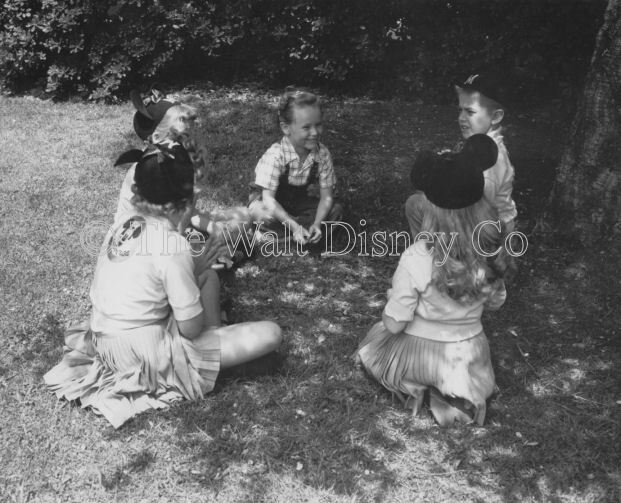 Eventually Chuck and his team devised small hand-crafted caps with wire-reinforced felt ears and rubber-bands that fit under the chin to hold them on, each one tailored to an individual Mouseketeer. They were time-consuming to make, and were a far cry in quality from the caps eventually marketed to viewers and Disneyland visitors. Each cap contained $20 worth of high-quality felt, and cost an additional $5 to make, a considerable sum in those days, especially when multiplied by two dozen Mouseketeers. The thread for the simple "M" logo used in the first season was actually orange, not red, so that it would show up better on monochrome television screens. 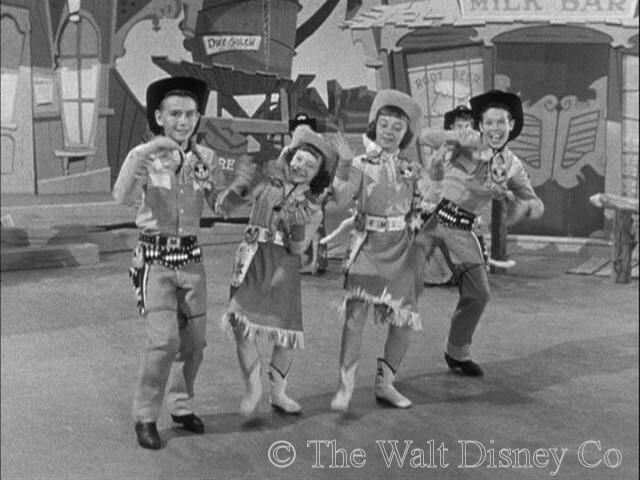 Besides the general-purpose Mouseketeer costumes, Chuck had to devise togs for Guest Star Day (jackets in the first season, blazers and pinafores in the second), Talent Round-Up Day (cowboy/cowgirl outfits), and no end of unique costumes for specialty numbers. There were also many prop devices that the kids wore, such as the Talent Round-Up "ponies", and bizarre Roll Call outfits for Circus Day and Anything Can Happen Day, which, in order to create, required Chuck to work with the Art Department and the production craftsmen. Chuck also had responsibility for costuming all the serial actors, though in most cases these were either western outfits or conventional street clothes. To the usual problems in costuming actors were added the additional difficulties that these were kids, who often grew out of their clothes from month to month, and had a propensity for "losing" the detested ears. 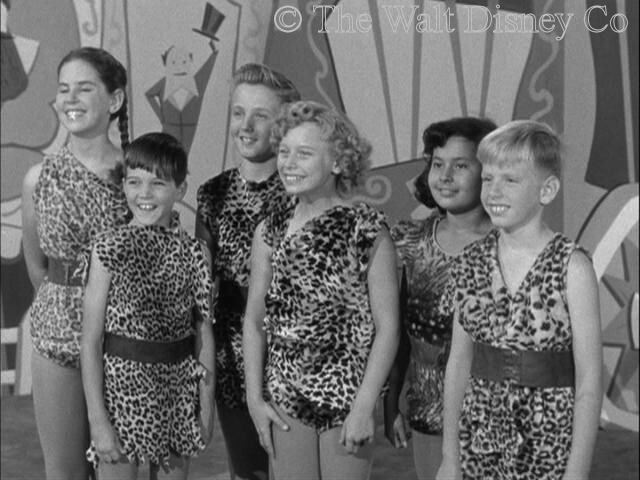 A $50 fine slowed down the rate of missing ears, while by the third season street clothes were seen as often as costumes for Mouseketeer production numbers. Chuck continued to head the Disney Studio Wardrobe Department up to his retirement in 1979. Every live-action film and television series made at the Burbank studio or out on location from 1955-1979 had its wardrobe requirements overseen by Chuck or one of his subordinates. This included television series like Zorro, Walt Disney Presents/The Wonderful World of Color, and The New Mickey Mouse Club. It also included over seventy feature films, such as Westward Ho, the Wagons! (1956), Old Yeller (1957), The Parent Trap (1961), Mary Poppins (1964), and Freaky Friday (1977). Chuck died February 24, 2001, in Los Angeles, California.